Iran claims it captured ship over unspecified shipping dispute, demands $10 million in fines to have it released or else will sell it. The official Iranian state media Press TV on Tuesday announced that the Islamic regime is threatening to sell the Maersk Tigris cargo ship it fired at and seized in an international shipping lane last Tuesday, unless a massive fine is paid by the ship's owners. The report claimed the ship was seized due to an unspecified shipping dispute with the Danish Maersk shipping line, listing Hamid-Reza Jahanian as the managing director of Pars Tala'eyeh Oil Products Company as the Iranian party to the dispute. Jahanian threatened that the ship and its cargo are to be sold unless Maersk pays a whopping $10 million fine, which he claims constitute "losses" his company suffered for some unlisted reason. He said the ship will be released "upon the payment of the amount." The paper noted that Maersk officials have demanded to see the court documents on the alleged dispute which Iran says spurred its breach of international maritime law, adding that meetings between Maersk and Iranian officials made little progress. 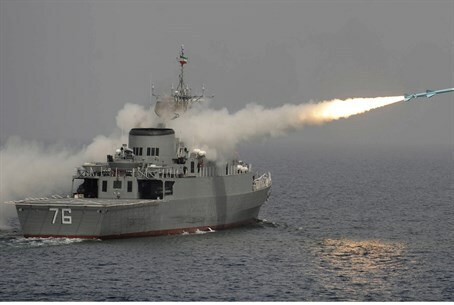 Iranian naval ships demanded the Maersk Tigris cargo ship enter Iranian waters to be seized as it was sailing in an internationally recognized shipping lane in the Strait of Hormuz. The ship, which is said to be largely owned by American investors, submitted after the Iranian ships fired warning shots across its bow. It reportedly is being held at the Larak Islands off Iran's coast. According to the Iranian state media, the country's foreign ministry said the ship's crew, which is comprised of eastern Europeans and Asians, are in good condition. The ship was flying a Marshall Islands flag, and international treaties obligate the US to react to any attack on the Marshall Islands as if it was against America. However, US reactions have been muted to this point, with one US spokesperson refusing to condemn the incident. Iranian Foreign Ministry spokesperson Marzieh Afkham was quoted by Associated Press on Wednesday confirming the ship is being required to pay a fine, and is likely to be released in two days. She repeated the Iranian claim that the seizure was due to a legal complaint by a private Iranian company. "Based on the information we have acquired, it is likely that the dispute will be settled within next two days," Afkham said.